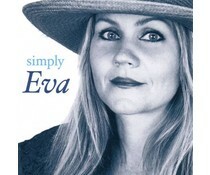 Eva Cassidy (1963 - 1996) was an American singer who covered a number of well-known songs in their own style. During her life, she was not known, but after she died from the effects of cancer was the late musical success.Her main musical influences came from the genres of jazz, blues, folk, gospel and pop. Cassidy was also called a "Shy Genius". Two years after her death a tape with Cassidy's version of "Over the Rainbow" contact the British radio station BBC Radio 2. The song was filmed by an amateur at a gig in the Blues Alleys. 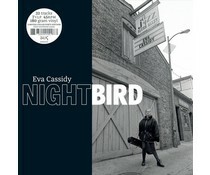 Cassidy's album "Songbird" was a huge success in Britain. In 2001, the album became the best selling of England. 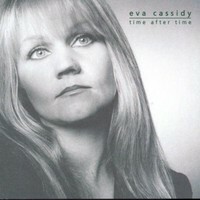 Eva Cassidy is described as not particularly elegant in her dress, and her stubbornness and steadfastness in the selection of its songs (including especially soul, jazz and gospel) angered the record companies immensely. A few months after the release of her album "Live at Blues Alley" she received in July 1996 pain in her hip. This turned into her bone metastatic form of skin cancer (melanoma) to be. The doctors gave her only a few months to live. She died in November of that year. The last song she ever sang so numbed by painkillers that she had to be helped on stage, her own interpretation of "What a Wonderful World" by Louis Armstrong. 2016 reissue on 180g 33RPM 4LP = featuring Complete 20th Anniversary Blues Alley Collection including 12 Previously Unreleased Recordings & 8 Never-Before-Heard Songs! 2016 reissue on 180g 45RPM 7LP Box+ Set featuring Complete 20th Anniversary Blues Alley Collection including 12 Previously Unreleased Recordings & 8 Never-Before-Heard Songs!